Your new furnished apartment home is in the heart of Downtown Oklahoma City, just a few blocks from the Bricktown Ballpark, Bricktown Canal and the Chesapeake Arena. This is America’s original jazz district, home to amazing history and exciting nightlife. Deep Deuce at Bricktown is an urban apartment community featuring newly renovated interiors including rich cabinets in kitchens and baths, quartz countertops, stainless steel appliances, hardwood-style floors, vaulted ceilings and spacious closets. Our pet-friendly apartments also feature a resort-style swimming pool with sun deck, a beautiful resident clubhouse with billiards table, a 24-hour fitness center and reserved covered parking. Call or visit today to discover this iconic location and to learn more about how you can call Deep Deuce at Bricktown home. Deep Deuce at Bricktown’s location is ideal – you’ll love this historic jazz community, filled with entertainment, nightlife, restaurants and shops. 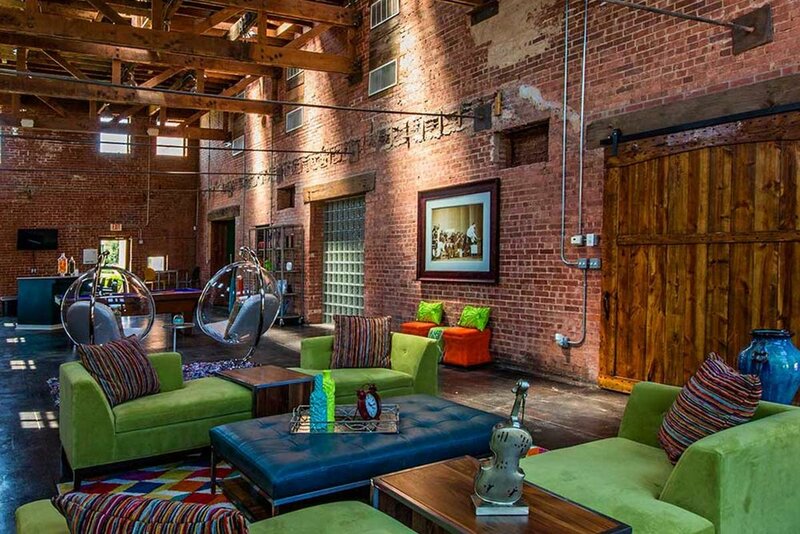 You’ll be close to the Business District, Bricktown Ballpark, the Arts District and freeways 235 and 40. Visit the Oklahoma City Museum of Art, Chesapeake Energy Arena, the Oklahoma City National Memorial and Museum or take a boat ride down the Bricktown Canal! Fun is always right around the corner when you live at Deep Deuce at Bricktown. For a night out, try Red Pin Restaurant and Bowling, Dust Bowl and Brickopolis (a terrific place for a game of laser tag, mini golf, and more). Downtown, you’ll find bike and Segway rentals to help you get around this pedestrian-friendly area. If you are feeling adventurous, check out OKC Riversport Adventures or the seasonal Devon Ice Skating Rink. Dining out will become a favorite pastime when you move to Deep Deuce at Bricktown. Nearby restaurants include Deep Deuce Grill, WSKY Lounge, the Wedge Pizzeria, Urban Johnnies, Texadelphia, Fuzzys Taco, Red Pin, In the Raw, Sonic, Mickey Mantle, Mahogany, West, Flint, Bricktown Brewery, Bolero, Broadway 10, Kamps 1910, Café 7, Abuelos, Chelinos, Chili Dog Express and many more! This vibrant community also hosts festivals and events, such as the popular Bricktown Blues and BBQ Fest. Automobile Alley, also nearby, is the former auto center. Today, this historic area features a collection of 1920s buildings that house boutiques and restaurants. In addition to fun, nightlife, and landmarks, Downtown Oklahoma City, Oklahoma, is home to several major companies, including Devon Energy.